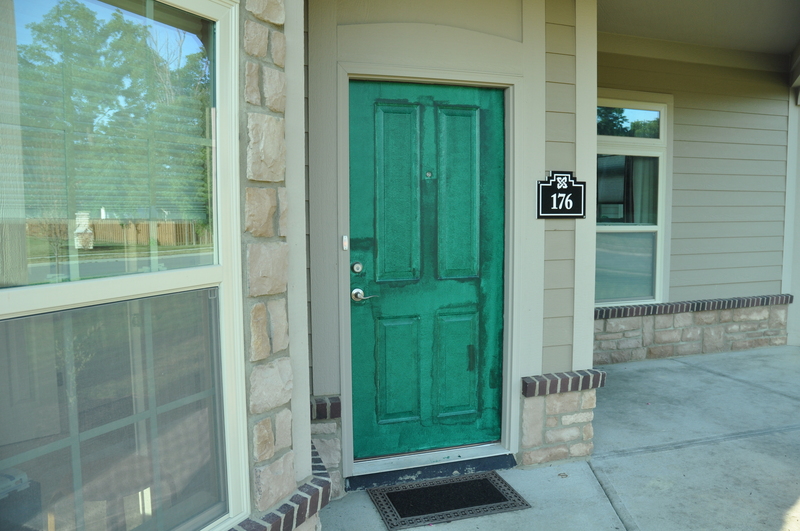 If you’ve been following this blog, you know that we had all our exterior doors replaced a couple of weeks ago. 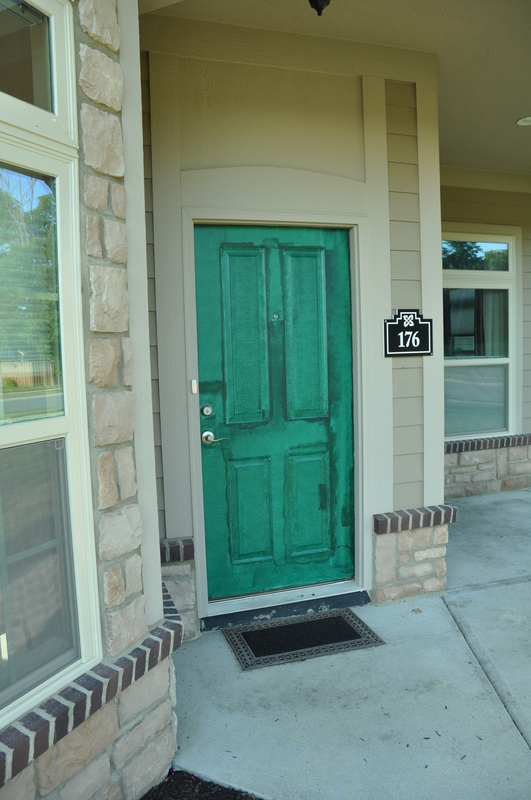 See my previous post, The New Doors … This week, the painting began on the front door. 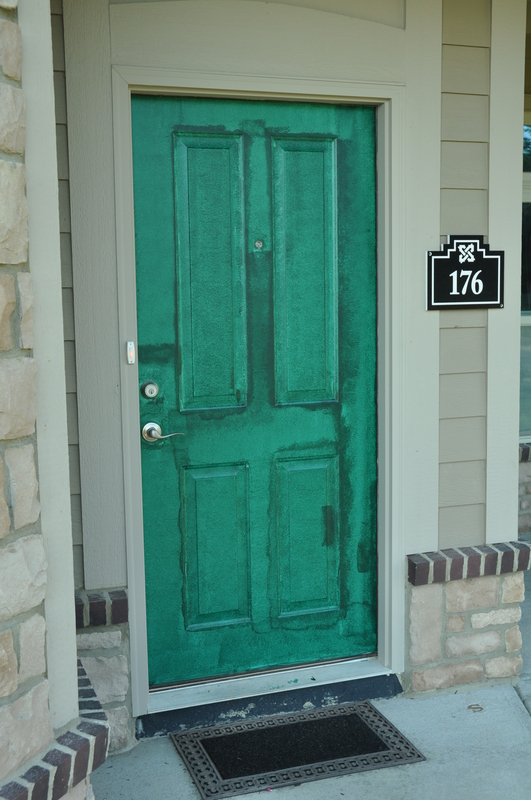 It only has the first coat on now, but you can get a glimpse of what this color accent will do for the overall look of the house.